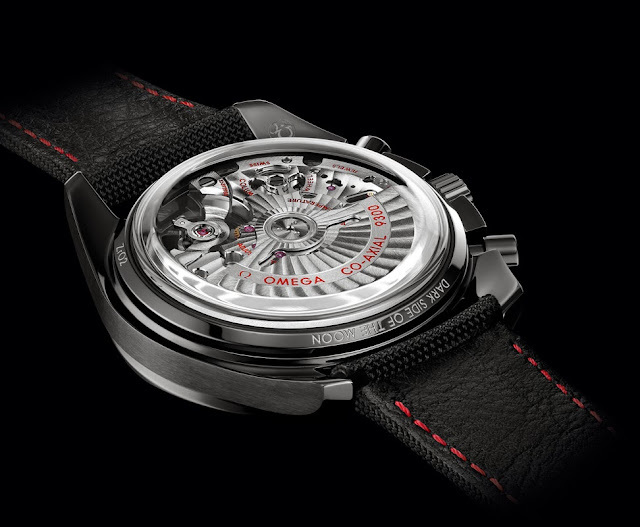 Another new model from Omega based on the co-axial Calibre 9300 incorporating chronograph functions: it's the Speedmaster "Dark Side of the Moon", presented at BaselWorld 2013. 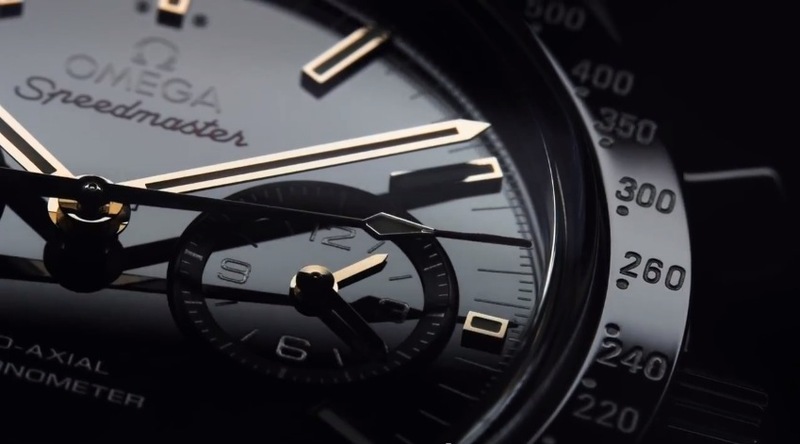 This ultra sporty Speedmaster has an all-black 44.25 mm ceramic case. The "Dark Side of the Moon" name is clearly playing with its colour and the history of this watch, so tightly linked to the Moon exploration. Case, caseback, crown and pushers, they are all in ceramic. 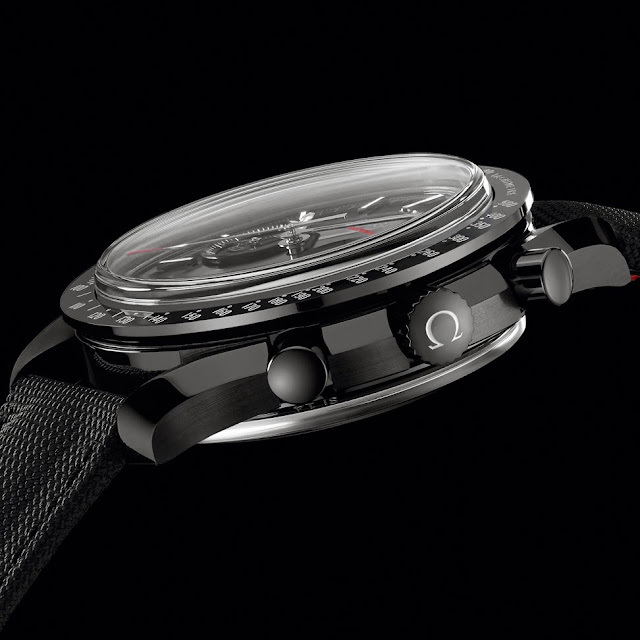 Just like the dial which is made of black zirconium oxide ceramic with two blackened sub-dials. Instead, the applied indexes are made of white gold while the hands are rodium plated. The final result is great. 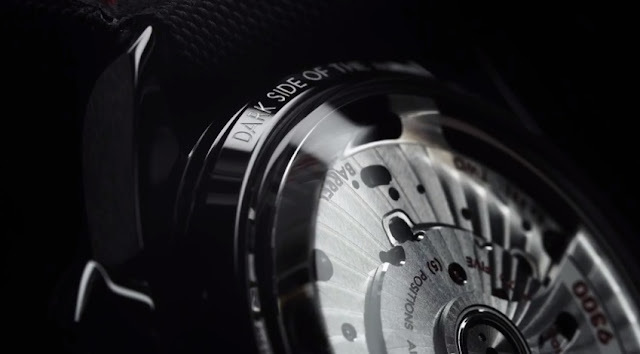 On the case back, we find the "Dark Side of the Moon" engraving while the sapphire crystal displays the Calibre 9300 bi-compax chronograph movement. The watch is fitted with a highly durable black coated nylon fabric strap complete with a black ceramic buckle. 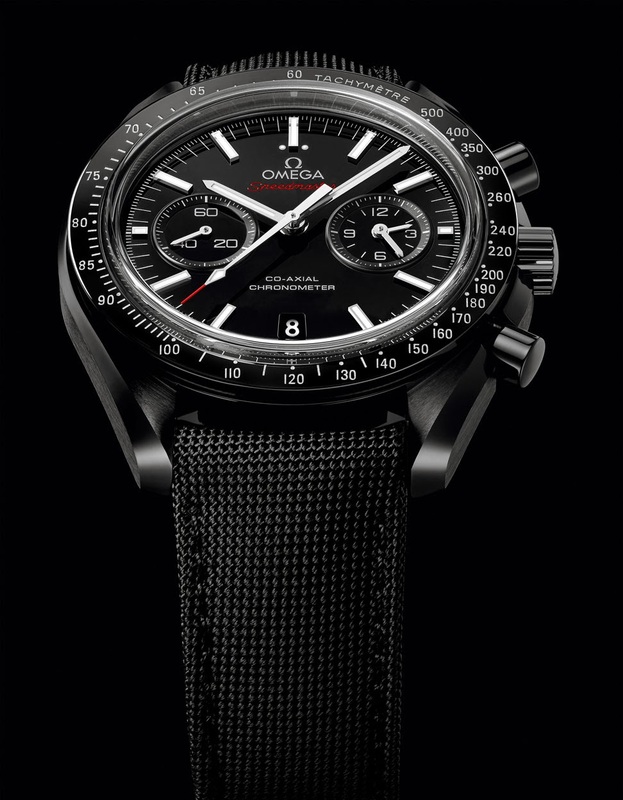 Time and Watches: Omega - Speedmaster "Dark Side of the Moon"
Another new model from Omega based on the co-axial Calibre 9300 incorporating chronograph functions: it's the Speedmaster "Dark Side of the Moon", presented at BaselWorld 2013. This ultra sporty Speedmaster has an all-black 44.25 mm ceramic case.